Each day of Money and Meaning involved a different venue and a different focus. 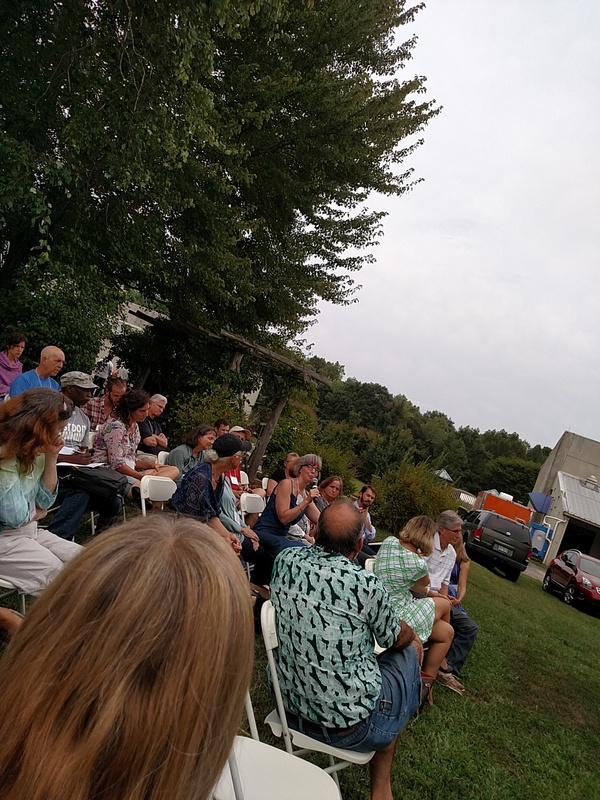 Thursday at Fearrington Barn in that affluent development north of Pittsboro offered a cocktail party feel and a serious conversation between Judy Wicks and Frank Stacio. Friday resembled many conferences with a number of session on a community college campus. 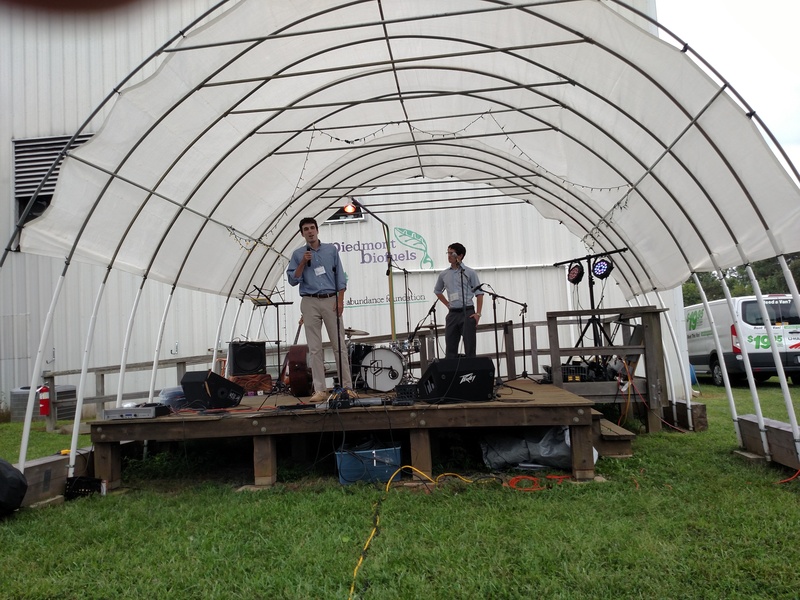 businesses along with the Abundance Foundation which hosted the conference with Slow Money NC. 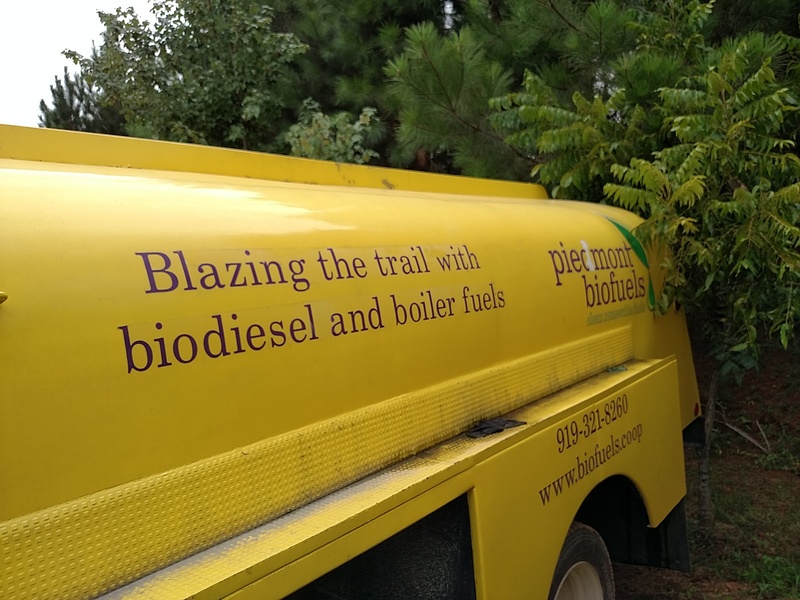 Occupants of the plant include Piedmont BioFuels, Homs, Screech Owl Greenhouses, Fair Game beverages and tasting room. 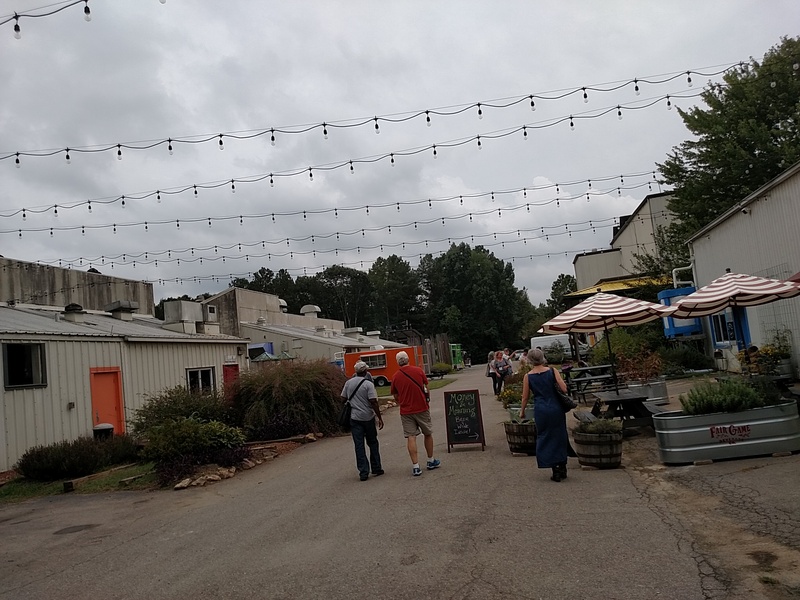 Many attendees took a five hour bus tour to Eric Henry’s remarkable localist business, TS Designs, in Burlington, NC and the thriving village of Saxaphaw. As a local, I skipped that expenditure of time and arrived at the Plant around three o’clock. By that time the Slow Money Market was in full swing with product samples and sales and discussions about investments. 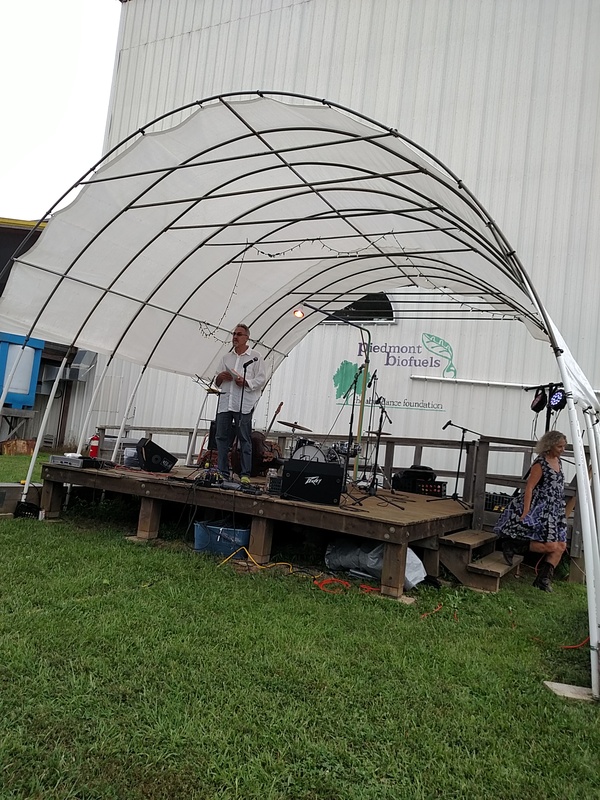 One of the exhibitors was Marty Hanks, whose hops farm was my first Slow Money NC loan. (25,000 pounds so far), and selling these in groceries and in food deserts year round. They seek funding to build their own facility in order to process hundreds of thousands of pounds. Scratch Baking in downtown Durham needs desperately to expand. They need funding to by the iconic David Baking Building to house their bakery, a coffee shop, and a 70 seat restaurant. Screech Owl Greenhouses, which grows out of season produce at the Plant, needs loans to protect his investment with a generator backup system. Sweeties. Kitchen, located west of Carrboro, needs a van for its catering business. Tony Cleese, well known for developing for profit and nonprofit organic food enterprises, seeks a business partner to get his disease resistant organic seeds in the marketplace. After a musical performance, Slow Money founder Woody Tasch took the stage for Money and Meaning’s closing keynote. 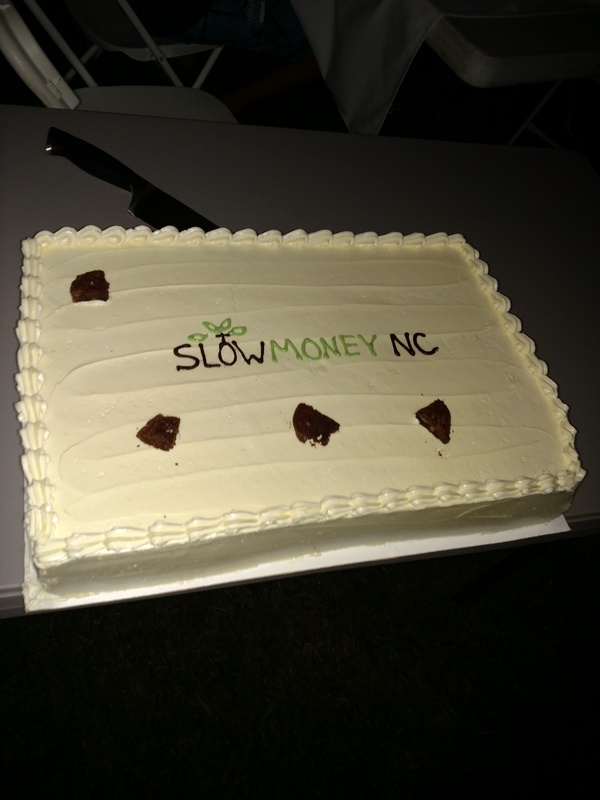 He began by recalling the May 20, 2010 meeting at Central Carolina Community College, which launched Slow Money NC before second national Slow Money conference. Describing Slow Money as a conversation and a network, Woody pointed out that Slow Money NC did the very first Slow Money loan. Admitting that a real strategy for spreading slow money still doesn’t exist, Woody explained that regionals conferences, of which this was the first, will be happening for the next 18 months rather than a national. “There are five more planned that we know of. They may be a new template.” North Carolina ($2,000,000 in loans) and Maine ($9,000,000) are the most active slow money networks. 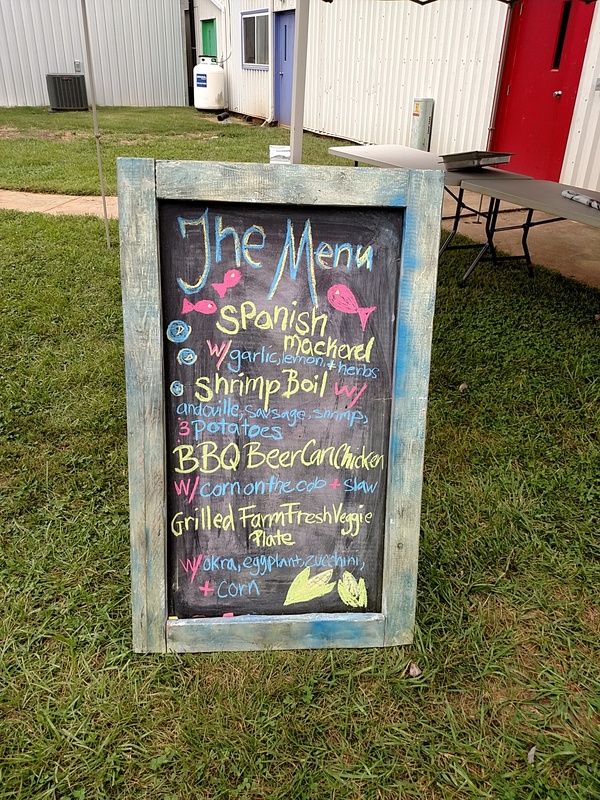 Challenged, inspired, and entertained, we queued up for an amazing dinner of Spanish Mackerel and shrimp boil from the North Carolina coast, local BBQ beer can chicken with corn on the cob, and local vegetables both cooked and in salad. The meal and the conference reached its conclusion with the cutting and consumption of the Slow Money cake.